You can manage your entire fleet through the OnCommand Connection. 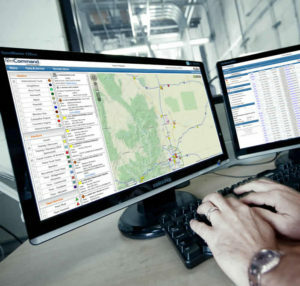 Be more efficient with an integrated vehicle service monitoring system that connects fleets, dealers, Navistar’s Technical Service and OnCommand Repair Advocate. The OnCommand leverages the real-time vehicle information from the GO7 device for vehicle maintenance and repair issues, so you stay on the road. Reduce downtime and roadside breakdowns. OnCommand Connection works with your entire fleet, regardless of the make, model or engine. OnCommand’s open architecture easily integrates with your existing business systems. You can filter information by vehicle type, fault code or time frame or “Favorite” certain vehicles to keep an extra-close eye on them. Monitor and manage the thousands of vehicle fault codes and make informed choices to manage your fleet for maximum productivity with the revolutionary Over-The-Air programming. Quickly act on critical faults & easily comply with safety standards. Reduce your downtime and servicing costs with International’s Over The Air Programming. Simply plug International® Link into the 9-pin Deutsch service port. 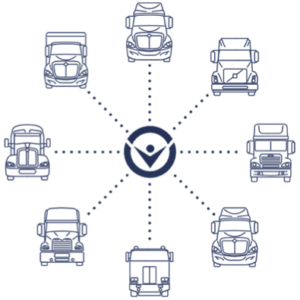 Connect to a secure WiFi network and program your entire fleet without leaving the lot. 1 Truck or Many Trucks. We have you covered. Regardless of the size of your fleet, you can now monitor what’s going on with your entire fleet in real time. OnCommand even comes with a smartphone app.